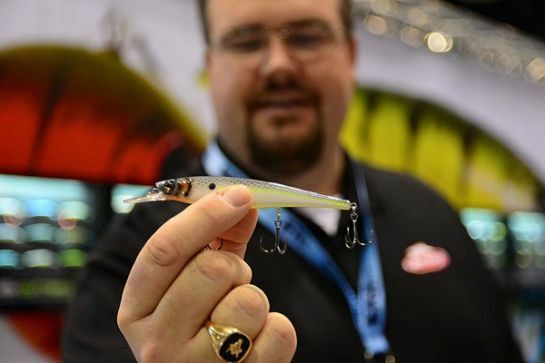 Anglers will face tough choices when shopping for new lures next spring as manufacturers unveil a wide range of new hard and soft baits this week at ICAST, the world's largest fishing tackle trade show. More than 11,000 people representing manufacturers, buyers, dealers and reps from around the globe are on hand in Orlando to see what's new for 2016, including hundreds of new lures from manufacturers around the globe. Cobia fishing remains strong this week in Virginia’s Chesapeake Bay and inshore waters with some bigger fish being weighed in; sight-casters and chummers are both having success. The bigger cobia have been pushing 80lbs. Tidal Fisher Sea-Quester posted a fishing report with an 84lber. You can see that one in the picture at the top of the fishing report this week; check out the full report for other pictures of this slob. I saw another nice cobia caught this week by mwillis98 and some really big slobs caught by Finao. Well, the results are in, and the 2014 Winner of the 31st Annual Championship on the Chesapeake is Gene Walker, who took home a whopping $63,000 with a 48 pound Rockfish. I’d say that is one fine day of fishing and worth tipping some spirits back at home port. Did you hear the drums playing? If not, then you haven’t been out in Virginia’s Chesapeake Bay and coast-side because that is the hot action around the region with red and black drum.